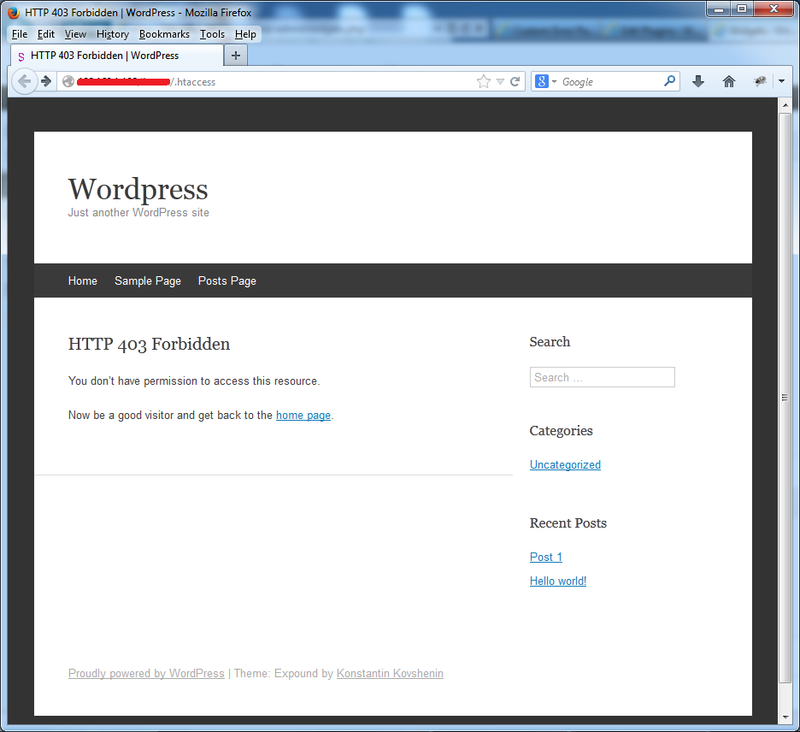 WordPress offers inbuilt support for custom 404 pages on all themes. But what about custom pages for other common errors like 401 and 403? You end up seeing a bland error page of the Web Server. With this plugin you can easily create custom 401 and 403 error pages with any theme without writing a single line of code!!! And the best part is that you set it and forget it. Yes, you don’t have to do any changes even if you change themes. 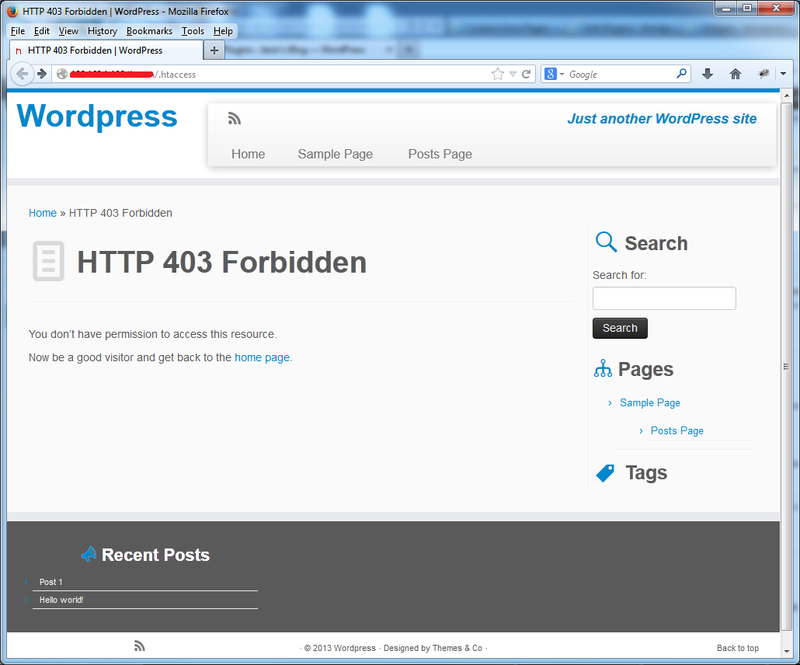 The heading and text you want on 401 and 403 error pages are displayed on the currently active theme. Install and activate the custom error pages plugin. 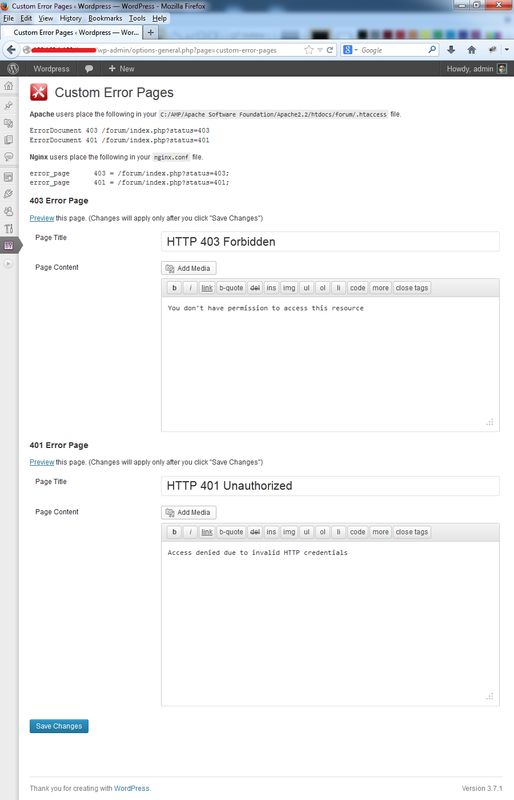 From the wp-admin go to Settings > Custom Error Pages, fill in the heading and content boxes, save the changes and preview it. Apache users edit your .htaccess file and add the following lines. Nginx users edit your nginx.conf file and add the following lines. Did you see a custom 403 page in all the glory of your theme?